Kingsman: The Golden Circle Review | Nerd Much? The first Kingsmen was an action movie that seemed to come out of nowhere, delivering a fresh take on the spy genre and firmly cementing director Matthew Vaughn’s place in the action genre. Now three years later, Vaughn has returned to the Stylized world he created with Kingsman: The Golden Circle. Set sometime after the events of the original, the story not only aims to deepen the relationship between Eggsy and his associates but continue the world building that the first film started. While The Golden Circle is a consistently entertaining film, it sadly lacks the impact or originality of its predecessor. 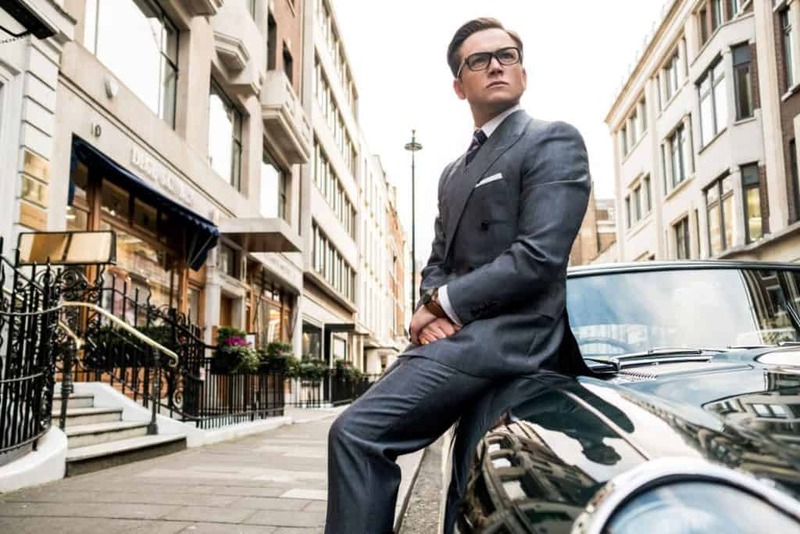 Set an undisclosed amount of time after the first, The Golden Circle follows Eggsy (Taron Egerton) once again who is now fully embraced his role as a spy. However, just when everything appears to be going right, a secret organization attacks and kills almost every member of the Kingsman. With their backs against the wall, Eggsy and his technical wiz Merlin (Mark Strong) travel to American in order to ascertain help from their American counterparts the Statesmen. Together, these secret spy networks have to not only find out what happened to the Kingsman, but stop a potentially catastrophic event from taking place. Despite the plot being radically different than the coming of age story that the first movie portrayed, Kingsman: The Golden Circle never manages to truly define itself. Acting more as a greatest hits collection, viewers will be treated to familiar set pieces done in different locations. This isn’t necessarily a bad thing, but it holds back The Golden Circle from being anything more than just another action movie. There are even entire scenes from the first movie, most notably the pub brawl, that are just rehashed for the sake of it. The Golden Circle lacks originality Where the film falters is in how it rushes and or brushes over two of the most intriguing concepts introduced. The first is that Harry (Colin Firth) is back, despite being shot in the head back in the first movie. However, this time around he is suffering from amnesia and doesn’t remember anything to do with the Kingsman. This was a rather interesting angle to take, yet it never has the amount of screentime it properly deserves. Harry’s change supposed to be a major crux of the story, but Vaughn brushes past it because we need to start including Harry in all the action sequences. There are some moments regarding a pseudo-PTSD, but again it never really gets fleshed out in a satisfying manner. As for the Statesman, they get off better than Harry, but one has to wonder why even bother including the Kingsman. It’s clear that Vaughn want’s to dig deeper into who and what they stand for, however, the story needs to keep the focus on the Kingsmen. 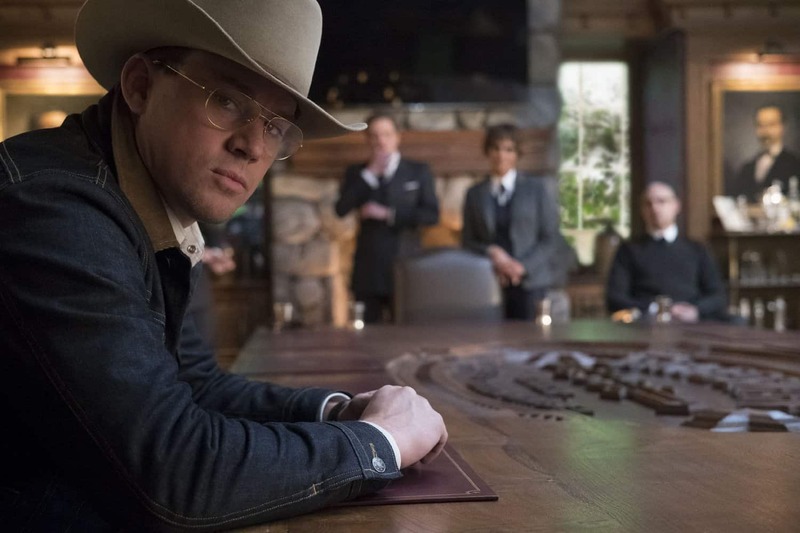 The idea of the Kingsman having an American counterpart is genuinely inspired and the cowboy-esc design is a fun nod the Americana theme that is persistent in the whole film. In fact, Pedro Pascal’s Whiskey steals every single scene he is in and could have easily helmed his own spin-off. Julianne Moore also gives a great performance as Poppy, the main villain who runs a drug empire from a recreated 1950s era town. It’s as absurd as it sounds and Moore is clearly having fun in the role, especially with some of the more sinister scenes. While she does come off as a retread of the last movie’s villain Valentine, Poppy is still entertaining enough to stand out on her own. Though her plans do get a bit muddled near the third act and the inclusion of former Kingsman, Charlie (Edward Holcroft) feels like a forced addition. However, if you are just watching Kingsman for the action and jokes, then you’ll be happy with what The Golden Circle offers. Vaughn has always had an eye for delivering flashy and awe-inspiring fight scenes that will leave you on the edge of your seat. There’s a lot of fun to be had here, with the final act going completely off the rails. Yet, The Golden Circle always feels like it’s trying to top the original Kingsman. Only the opening and closing action scenes really feel unique to the movie, which is a shame given the cast clearly is game for anything. It also doesn’t help that Vaughn has a bad habit of beating a joke to death, especially one involving a surprise cameo. While it’s funny the first time, we end up seeing this person several times throughout the movie. This not only makes certain scenes become a chore but actually undermines the strength of some of the heroes during the final fight scene. 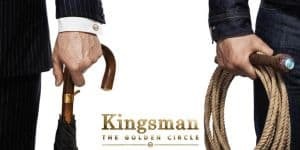 Kingsman: The Golden Circle is not a bad movie by any stretch of the imagination, however, it’s one that is clearly too afraid to take any chances. This is one of the safest action movies I’ve seen in a long time and it was clearly made for those who liked very specific, iconic scenes from the original. Even with a great cast who deliver some solid performances, The Golden Circle will only be a good time if you haven’t seen the first movie or are fine with watching the same action scenes in different locations. If you are looking for a decent way to kill two and a half hours consider giving Kingsman: The Golden Circle a watch.